The Hucklebuck are a seven piece swinging blues/jump blues band. Playing their own originals and interpretations of classic electric standards, with an emphasis on authenticity and swing. The Hucklebuck comprises of Joe Cribb on lead vocals and harmonica, Luke Cawthra and Neil Smith on guitars, Sophie Stockham and John Pratt on horns and the superb rhythm section of Tom Kuras on bass and Matt Brown on drums. Collectively the band has played with some incredible roots music artists and bands, such as: Kirk Fletcher, Matt Schofield, Pee Wee Ellis, Beth Rowley, Martha High, Andy Sheppard, Rodriguez, Phantom Limb, Marc Ford (ex The Black Crowes), Hannah Williams & The Affirmations and Lillian Boutte. 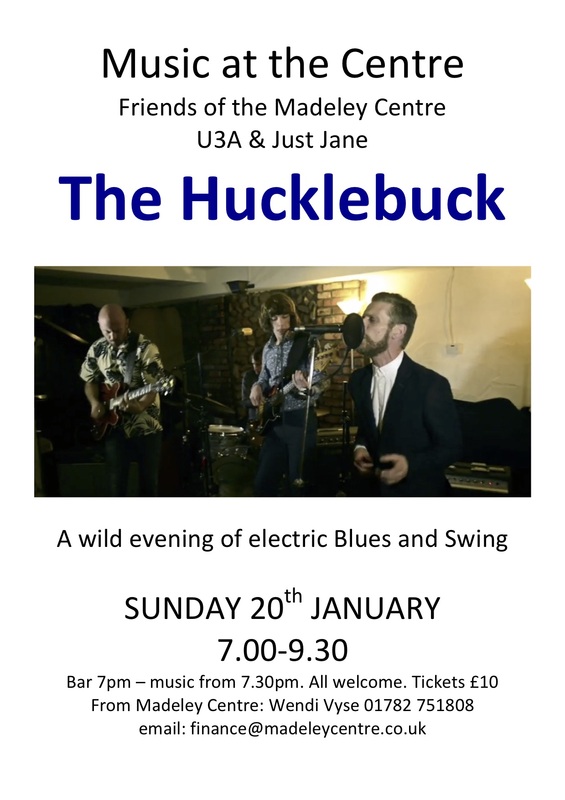 The Hucklebuck are a band that has evolved out of a desire to hear blues music played the way they want to hear it – swinging, dynamic, melodic and full of bold statements.